Although this past weekend was incredibly busy, the time had was well worth it. El Hubs and I will be moving back to Massachusetts in the next coming year so we won't be as readily available to visit his family (~45 minutes away). With that in mind, Cristhian invited 'em over for our weekly Pizza Party Friday Night. Friday also happened to be G's actual 2nd birthday, so we did a quick little thing.. (O Terrible Twos. How I hate you so!) He wasn't having it. 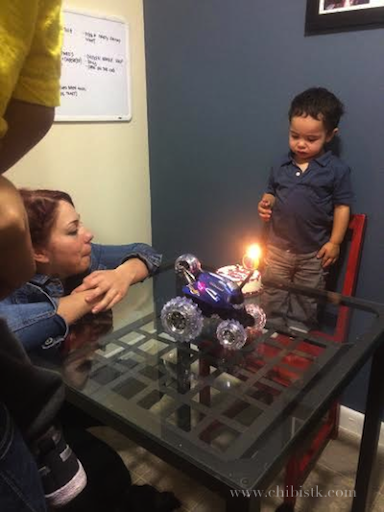 G wailed at the top of his lungs for that damned toy car (that he was NOT supposed to receive until his birthday party the following Sunday) and spazzed out when everyone started singing to him. 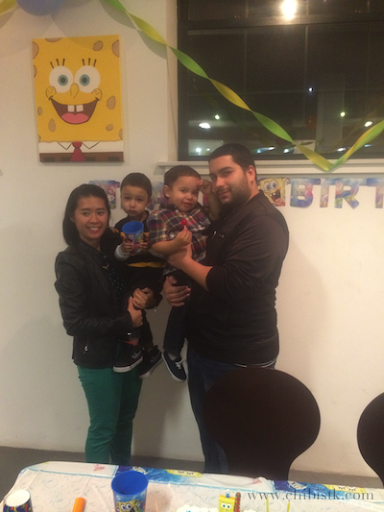 SIL threw a joint Spongebob and Patrick birthday party in celebration of the boys' second birthday. Cristhian and I were able to have a nice chit chat with his pastor who came all the way from Greater Boston! SUCH a good time was spent just gabbing away (for me anyway)! Excuse my tiredness. We left for A & G's party immediately after my 36-hour rotation. 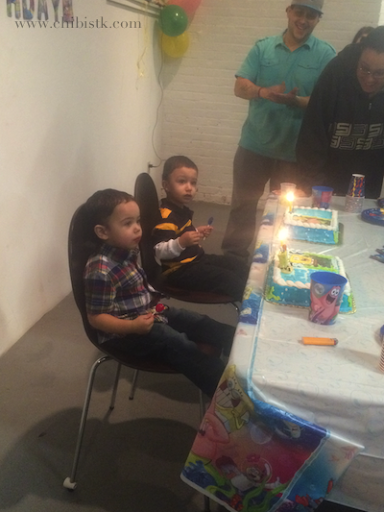 Cristhian's nephews were born just two days apart in two different states. They fight like brothers and cry every other minute.. (Oh, dear..), but I'm sure they'll grow to be best friends when they're older. The holiday season always comes in storming. There's so much to do, so much to see and not enough time to do all that we'd like to. (Luckily, I was able to do most of the Christmas shopping in the earlier months of Fall.) I digress! Christmas will be here in no less than two weeks and I still have sooo to do!